musepreneur: creative ways to commemorate your year by Jennifer Lee on wishstudio. I'm also looking forward to listening to the mp3 of Kimberly Wilson's New Year, New You tranquility du jour teleclass on January 4th. Below are 9 Have Fun Do Good New Year Reflection Questions that I hope you'll find helpful as you think about your New Year's resolutions, goals, intentions, wishes and dreams. What does having fun mean to you? What does doing good mean to you? How did you have fun in 2009? How did you do good in 2009? How did you have fun and do good in 2009? How do you want to have fun in 2010? How do you want to do good in 2010? 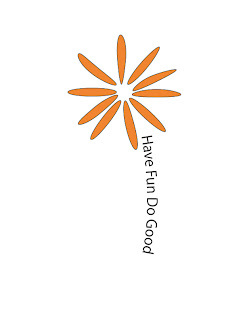 How do you want to have fun and do good in 2010? What is the one have fun do good 2010 resolution you are the most excited to keep? In 2010, I am going to make gifts, give gifts of time together, or buy gifts from local businesses, or creative entrepreneurs. What is your have fun do good 2010 resolution? Do you think your organization, or cause should be represented at the World Economic Forum in Davos, Switzerland? Make your pitch in a YouTube video by January 4, 2010. "[A]ll videos should be no longer than three minutes. Speak clearly and from the heart. Five finalists will be selected by a judging panel comprised of Paolo Coelho, Arianna Huffington and Muhammad Yunus. These finalist videos will then go to public vote on January 8, with a winner announced on January 19." The winner will have access to a "special panel" at the Forum to talk about their cause. If you enter, good luck! PostRank is a fun tool that can show a blogger which of their posts their readers engaged with the most. Below are the 2009 Have Fun Do Good posts you read, commented on, tweeted, facebooked and engaged with the most. How Do You Have Fun and Do Good on Your (Gasp, 40th) Birthday? I know more and more people are using calendars on their computers and cell phones, but I like paper calendars. There is something about writing things down by hand with different colored pens that I still love. If you haven't purchased your 2010 calendar yet (or are looking for a last minute holiday gift), lots of nonprofits publish calendars. I'm sure there are lots of community and regional nonprofits that publish calendars too, like the ones listed in this Idaho Statesman article, Buy these calendars to help out nonprofits. According to the article, the Zoo Boise has a Poop of the Month calendar that features different species and their feces. Hilarious. What are other fabulous calendars produced by nonprofits that should be added to the list? A big thanks to all of the folks on Twitter and Facebook who sent me nonprofit calendar suggestions: @maggieleithead of Charity Village, @CoreyPud and Kate Millea of Convio, @coldmtn of Rikshaw Films, Kory Taylor, Marylee McInnes, Gwen Rose, Milo Sybrant of Amnesty International USA, Stacy Colwell, Morra Aarons-Mele of Women & Work and BlogHer, Roger Carr of the Everyday Giving Blog, and Douglas Patinka. 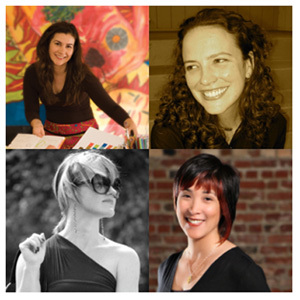 In the fall, Jennifer Lee, Lisa Sonora Beam, Kimberly Wilson, and I asked you to tell us what your ideal creative women entrepreneur gathering would look like by completing a survey. We were thrilled that 300+ of you shared your ideas with us! Thank you! Based on your input, we're thinking about holding an in-person retreat and an online event in Fall 2010. We'll keep you posted as things evolve. In the meantime, if you have favorite retreat locations you'd like to recommend, let us know! We're continuing to vision and plan a fabulous experience for you, and we can't wait to connect with all of you vibrant and inspiring creative women entrepreneurs. Jenny, who won a copy of Hip Tranquil Chick by Kimberly. Jan, who won a copy of the Right Brain Business Plan e-Book by Jennifer. Heather, who a copy of The Creative Entrepreneur by Lisa. Genevieve, who won a half hour of blog coaching with Britt. I don't know about you, but my life has been moving at a breakneck pace this month. Every year I tell myself, "I'm not going to get stressed out about the holidays," but inevitably I do. "After all, polls show that 90% of Americans feel anxiety around the holidays. So I'd like to propose a solution: don't shop, play." Her family has "shopping-free" Christmases where people give things that they already own. Love that too! "Ask yourself, is this a situation where my need for speed is legitimate, i.e. am I being pursued by bears?" "Busy is a mindset. Try saying the words 'I have time.'" "What messages do you get now from society and from friends and family about what the holidays should look and feel like?" If you're one of the few people who doesn't get stressed out around the holidays, please, share your tips! 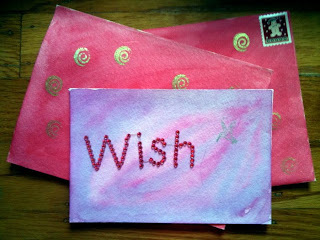 This morning I finished putting together a hand-painted card and gift certificate for 6 career coaching sessions with me. A woman bought it for her artist friend for Christmas. Isn't that a nice gift? 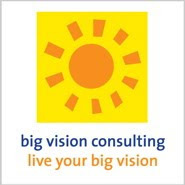 Some of you might not know that I've been a career consultant for creative and do-good folks for the past 12 years. I've also been offering a new service recently that I'm calling blog therapy (one of my clients came up with the name. Isn't it cute?). I've found that people often start blogging, or redesign their blog, during times of transition. Blog therapy mixes career coaching and blog coaching to help people create work they love, and a blog that expresses their new identity and enterprise. If you're interested in giving a friend (or yourself!) 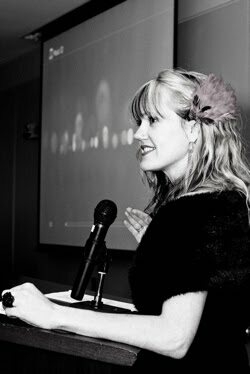 some career coaching or blog therapy, shoot me an email at britt AT brittbravo DOT com. Giving the gift of a one-hour phone session is $95. Giving the gift of 4 one-hour phone sessions is $300. Hello Have Fun Do Gooders! As some of you know, I do some blogging for The Extraordinaries, a microvolunteering application that you can use on your iPhone, or your computer. Most of the microvolunteering opportunities are for nonprofits, but the folks at The Extraordinaries recently added a Have Fun Do Good microvolunteer opportunity! Wahoo! You can either share a story about how you, another person, or a group is having fun and doing good, or take a photo of a way you can have fun and do good at the same time. I'll be checking the submissions from time to time, and featuring some of them here. i helped to start a neighborhood party that now happens every 6 weeks at a different neighbor's house each time. out of the event, there have been apartments found, relationships made, business brokered, friendships formed, and a stronger neighborhood created as a result. My sorority contributes to the Robbie Page Memorial Fund every year and we also create a fun craft for children with terminal illnesses. I am a Iron Soul. The Iron Souls is a Motorcycle Club based out of Oakland California that gives back to the betterment of the community. We like to ride Harley's, and have fun most of all, but we also work with foundations like Lend A Hand, Mother Wright Foundation, and a few others. We also do things like Turkey dive/giveaways to the less fortunite. We really have fun doing it too. our school asb hosted a hats on day where students could wear hats to school to help raise funds for the foundation for children with cancer. Habitat for Humanity is an awesome to meet people, have fun, AND do something amazing for a family. This organization is completely volunteer and donation reliant so it is satisfying to know that you are helping change someone's life. Building, painting, even nailing two boards together is giving hope to people that don't have sufficient help. I had a great time doing many projects with Habitat for Humanity and look forward to having more fun and accomplishing things in the future! Does Your Fundraising Make Me Feel Happy and Hopeful? People are moved to do good in order to feel good. People are moved to help individuals. People are moved by hopeful and inspiring stories. People are moved by the opportunity to make a successful impact. This all seems like common sense, but think of how many annual appeal letters you receive that tell sad stories, quote miserable statistics, and in general make you feel like, "What's the point of giving $50, or volunteering, it won't make a difference?" People want to feel like they are able to make a difference, which may be why, "Yes We Can," resonated with Obama supporters. For example, in her post, Here’s a good fundraising appeal: I gave on Katya's Nonprofit Blog, Katya Andresen shares 5 reasons she liked the appeal she received from Imagination Stage. The appeal made her feel good, hopeful, and confident that her donation would make an impact. Likewise, in the post, How Many Thank-Yous Will I Get This Year? on Kivi's Nonprofit Communications Blog, Kivi Leroux Miller writes about how important it is for organizations to write thank you notes. She is repeating an experiment that she tried last year, where she donated to 12 charities, and waited to see how many thank you notes she would receive. The result of last year's experiment, which she wrote about in, Can a Girl Get a Thank-You Note, Please?, was that 4 of the 12 charities sent a thank you note. Her favorite came from Interplast because it told the story, with photos, of one boy whose life would be changed because of donations like hers. I don't know about you, but I'm tired of bad news, angry emails, sad photos, and depressing statistics. Why would I donate or give my time to a lost cause? Please, help me believe that, yes, we can. 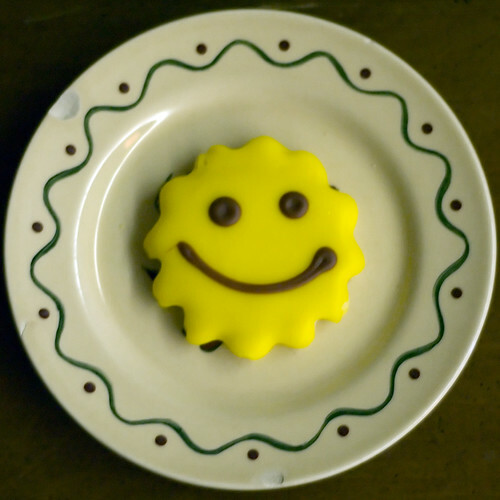 Flickr photo credit: Happy Happy Cookie uploaded by CarbonNYC/David Goehring. November was a good month for press. The WE Volunteer blog I write for, Do Good, Feel Good, was mentioned in WSJ.com's Blog Watch (thanks Beckey Bright! ), and Kimberly Wilson interviewed me for the Tranquility du Jour Podcast (thanks, Kimberly!). Volunteering for Our Planet: How Are You Volunteering for the Environment? What Blogs and Sites About Volunteering Do You Recommend? Discounts on LUSH Cosmetics, Ladies Home Journal, Essence Magazine and Step Up Women's Network for WE Volunteers! Handmade Nation: Watch It, Gift It, Love It! And in the most recent episode of the Be Bold Podcast I chatted with Jobs for Change blogger and NOI Program Assistant, Anne Marie Ashburn. Submit a text or video question for world climate leaders in the live CNN/YouTube debate. GoodGuide iPhone app + barcode scanning. Thursday, December 10th is Human Rights Day. This year's theme is, "embrace diversity, end discrimination." Two creative ways you can celebrate are by writing a letter, and making a YouTube video. Join Amnesty's Global Write-a-thon December 5-13, and write a letter to help a human rights defender, prisoner of conscience, or other victim of human rights abuse. You can write letters by yourself, or find an event near you. The Amnesty site has resources to help you write your letter and organize an event, as well as success stories for inspiration about people whose lives were changed because of letter-writing campaigns. I've linked to information about the campaign from www.amnestyusa.org, but www.amnesty.ca also has a Write for Rights site, and Amnesty branches in other countries may have information as well. Each month, YouTube's Video Volunteers program asks folks to make videos about organizations working on a particular issue. This month's issue is human rights. To participate, make a promotional, less than 3-minute video about a human rights organization whose work you admire. Submit it by December 21st. The top 3 videos will appear on the YouTube homepage at the end of the month. "Where, after all, do universal human rights begin? In small places, close to home - so close and so small that they cannot be seen on any maps of the world. Yet they are the world of the individual person; the neighborhood he lives in; the school or college he attends; the factory, farm, or office where he works." "Such are the places where every man, woman, and child seeks equal justice, equal opportunity, equal dignity without discrimination. Unless these rights have meaning there, they have little meaning anywhere. Without concerted citizen action to uphold them close to home, we shall look in vain for progress in the larger world." It's supposed to be Comfort and Joy. And truly Enjoy this holiday season." So, before you dive into your holiday gift shopping, remember that the "gifts that give back" the most are the ones given with love, no matter what they are. When I wrote my first 10 Holiday Gifts that Give Back post in 2007, there weren't many posts like it. Last year, there were more, so I posted 10 Lists of Holiday Gifts That Give Back. This year, there are TONS. As they wrote in Gifts That Give Back: Charitable Gifts on Marie Claire, "Charity is the new black." I think you'll find that many (not all) of the gifts on the lists below are collaborations between large national, or international nonprofits, and big brands. I encourage you to support the small, local nonprofits in your community with a gift donation. Better yet, why not give the gift of time to your family, and to an organization, by volunteering at a local nonprofit together during the holidays? OK, here are the lists. I'm telling you, this is just a sampling. Photo taken by me at Mountain View Cemetery. In 2006, filmmaker Faythe Levine traveled 19,000+ miles visiting over 15 cities, and interviewing more than 50 indie artists, crafters, and designers. The result is a fun, fabulous documentary that recently came out on DVD, Handmade Nation: The Rise of DIY, Art, Craft, and Design. I watched it a couple nights ago, and *loved* it. 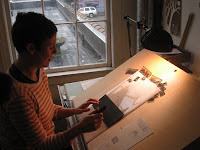 Levine not only captures artists like Jenine Bressner, Nikki McClure, and Jenny Hart working in their studios, but also profiles the owners of independent stores, galleries and online distributors, like Little Otsu, Beehive Co-op, and buyolympia.com. She also has lots of footage from events, like the Renegade Craft Fair (which I'm hoping to report back from later this month). You can watch a 10-minute trailer on YouTube. The film is still being screened across the country. 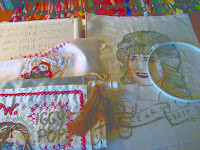 Look in the right sidebar of the Handmade Nation blog for upcoming screening dates. It is also available on DVD from buyolympia.com and Amazon. Whether you identify with the people profiled in the film's desire to create, be independent, work sustainably, make a living as an artist, preserve a craft, or find community, I think you'll be inspired by the film's end. I was. I received a review copy of the DVD, which I'd be happy to send off to a lucky someone. To enter in the raffle to receive the DVD, post a comment on the Global Center for Cultural Entrepreneurship blog, where this post is cross-posted from, with your DIY/handmade holiday gift idea, and a way to contact you if you win, by December 21st. Images: Jenine Bressner, Providence RI 2006. Nikki McClure, Olympia WA 2006. Jenny Hart's desk, Austin TX 2006. Getting back into the swing of things after a long weekend can be . . . OK, let's say it, not fun! So . . . how can you have a have fun do good day when you're not feeling great? 1. Do something nice for someone else. Today is my 4th day of the 29 Day Giving Challenge. I haven't decided what I am going to give today, but so far I've found that giving my time, whether that is by listening, sharing my expertise, or spending time together when I feel like I don't have any free time, has been the most rewarding. 3. Move. Jennifer Lee of the Life Unfolds blog recently gave me a pair of MuseCubes, a set of two handmade dice. One cube tells you how to move your body, and the other tells you a sound to make while moving. It may sound silly, but they really do make you feel better. 10-20 minute walks are a good option too. 4. Have a treat. One of the chapters of The Joy Diet, which I just finished, is about giving yourself treats throughout the day, and especially after you take a risk. I have a *big* sweet tooth, so I just treated myself to a piece of Double-Layer Pumpkin Cheesecake from Fat Free Vegan Kitchen, that I made last night. Big thanks to HappyKatie for telling me about the recipe! It's freakalicious. How do you have a have fun do good day, even when it doesn't start out like one? Today is "Black Friday," the day after Thanksgiving when everyone is supposed to hit the stores to do their holiday shopping. "To buy, or not to buy?" seems to be the question on do-gooders' minds. Below are four ideas for how to spend, or not spend, today. 1. GlobalGiving is promoting November 27th as The Great American Sleep-in. They are encouraging people to sleep-in, spend time with the people they care about, and purchase their gifts through GlobalGiving. You can buy a gift card, make a donation to a grassroots social change project, or purchase something from WorldofGood.com/GlobalGiving (for each transaction made on the site, World of Good will contribute $5 to GlobalGiving projects). 2. As Green LA Girl mentioned in her post, Inspiration to spend less this season — without feeling deprived, November 27th is also Adbusters' Buy Nothing Day. They propose that in addition to buying nothing on November 27th, you also, "shut off your lights, televisions and other nonessential appliances. We want you to park your car, turn off your phones and log off of your computer for the day." 3. Celebrate Plaid Friday, shop local and independent. In the East Bay of Northern California, where I live, today is Plaid Friday. People are encouraged to wear plaid (to celebrate the diversity and creativity of independent enterprises), and to shop at local and independent businesses. "[F]olks who understand the appeal of shopping locally, buying organic, and taking the time to understand where products come from and who makes them, already recognize that we vote with our dollars." How will you be spending your time and/or dollars today? "That's why it's, "Enlightened Work and Mindful Play," because it's incorporating, wrapping up, and interweaving this notion of making a difference through your daily actions, and also infusing your life with style, and throwing really fun parties for good causes." I'm always experimenting with how to stress less, enjoy life more, and make a positive impact. One of the places I go for inspiration during my day is to the books, blog, podcast, and Twitter feed of Kimberly Wilson. Kimberly is a teacher, writer, do-gooder, entrepreneur, and eco-fashion designer who is currently obsessed with, "Paris, potbelly pigs, and all things sparkly." She is the creative director and founder of Tranquil Space, which was named among the top 25 yoga studios in the world by Travel and Leisure. She is also the creative director and designer of TranquiliT, an ecoluxe lifestyle clothing line, and the founder of Tranquil Space Foundation, a nonprofit that brings yoga, creativity, and leadership to women and girls. Kimberly has authored two books: Hip Tranquil Chick: A Guide to Life On and Off the Yoga Mat, and Tranquilista: Mastering the Art of Enlightened Work and Mindful Play. Below is an edited transcript of my November 3rd interview with Kimberly for the Big Vision Podcast. Our conversation began with Kimberly explaining what Tranquil Space Foundation is, and why she started it. Kimberly Wilson: Tranquil Space Foundation started in July of 2006. We decided with my yoga studio, Tranquil Space, that we really wanted to expand our do-gooding efforts, and create a 501(c)(3) that we could really focus our efforts on. I put a note out in the Tranquil Space newsletter asking for interested participants to come to my living room. There were about 20 people huddled around talking about what we were going to be, what we were going to do, and how we could have the most impact. Out of that, over about six months, we came up with our tagline. We came up with our first program. We came up with a curriculum for the program. My big focus, with a Masters in Women's Studies, has been on empowering women and girls. We decided to start with teen girls, ninth through twelfth grade, and with the notion that that's when as a young girl we're beginning to make important decisions about college, about life steps, and about goals. Yoga: to really help the girls get connected with and in touch with their bodies. Leadership: to focus on goal-setting, and to become strong leaders in their own lives. Creativity: to really explore coloring outside the lines, and doing things differently. These were tools that many of the people involved in the organization wished they 'd had when they were in ninth through twelfth grade. The big premise is really with the programming, but then over the past couple years another thing that we've branched out and been doing is we just adore giving microgrants to other organizations. We have this really great process from a woman who heads the generosity committee. We all present organizations that we'd like the Foundation to consider donating to that are in alignment with our values of yoga, creativity, and leadership. We sit down, and there's this big voting process, big discussion, and then we contact the organizations to let them know that they're going to receive a grant from us. That's been a really fun piece, to give money away in a very targeted manner has just felt amazing. That's pretty much Tranquil Space Foundation in a nutshell. We're a little over three years old now. Do you have any favorite Tranquil Teens success stories? I would say my favorite stories for the Foundation so far have really been the organizations that we've granted money to who come and share what they've done with it, how it has made an impact on their organization, and how grateful they are. With the Tranquil Teens program, where we go and actually take our curriculum out, so far we've just worked with girls in a one-time setting. Although we get really glowing testimonials and feedback from the girls, there is no way to really follow up with them a year later and ask, "So, have you been utilizing this? How has it made an impact? Are you writing in your journal?" things along those lines. We can't yet fully speak to the impact that Tranquil Teens is having, although we're hopeful that it is making an impact. We do know that the money that we have been giving away has had a significant impact on the organizations. What tips do you have for starting a nonprofit? What tips do you have overall for starting a nonprofit, but also for business owners. I see that as a growing trend, "Here's my business, and then, I also have a nonprofit arm of my larger brand." In an odd way, I feel like everyone who has a for-profit should have a nonprofit arm associated with their organization. I just feel like it makes sense. It just shows and exemplifies values in a way above and beyond giving money does. The reason I say that is because since the inception of Tranquil Space, I've donated money to various organizations, and partnered with organizations for events and things like that, and those felt really good, but to have an organization that its sole purpose is do-gooding, just feels amazing. It's really fun because people who are involved in the Foundation are often involved in the studio, but not always. That might be their main thing that they want to get involved in is just the do-gooding aspect, and so that's felt really good. I would say the main way to really get started with a foundation is to have strong people on your Board. I'm blessed with a boyfriend who was a nonprofit attorney for years, and he's also a tax attorney, so he's been super helpful with all the questions that you have to think about with a nonprofit, that you don't have to think about so much with a for-profit. That's been super handy. I would definitely say, have an attorney on your Board. Setting up your Board; of course, is one of the first things. Have an attorney on it, an accountant, and just people who have been involved in the nonprofit sector to give a lot of great feedback. I've really found that to be a powerful piece. Also, determine your mission. In my new book, Tranquilista, I write all about this because I think it's really critical, how to set up a nonprofit. I had no idea. I was reading Nonprofits for Dummies, I was asking my boyfriend, other people who had founded nonprofits, other people who had worked at nonprofits, and just asking all I could to find out more about the creation of a nonprofit. There are so many people, probably within your own sphere, who can provide lots of great insights on how to do this. The theme of all of your different enterprises: your clothing company, your books, your blog, your podcasts, and your yoga studios, is "tranquility." What does tranquility mean to you and why is it so important to you? The whole notion of tranquility was a way to rename a yoga studio that started with, "Yoga at Kimberly's," in my living room in October of 1999. A little less than a year later, I decided that I needed a sexier name. I needed something that focused on what I really wanted to evoke, and what I wanted students and yogis to feel when they walked through the doors. I came up with the name Tranquil Space. Loved it. I began to create other arms of the business, the first one was the clothing line, and it started with T-shirts, so that's where TranquilitT came to be, and that was 2002. The next piece was the creation of my book, Hip Tranquil Chick. I really loved the title, Hip Yoga Chick, but hipyogachick.com was taken. You can't write a book, if you can't get the .com! [laughs] It just made sense to make it Hip Tranquil Chick, because then it wove in the whole notion of tranquility. The next piece was the foundation, Tranquil Space Foundation. For me, it has been a constant reminder of the striving, and searching, and looking for tranquility in everything we do, whether it's clothing, do-gooding, yoga, etc. It's all about, ideally, bringing about this holistic balance to our lives. How do you maintain your own tranquility with so many different enterprises? How in the world do you balance all of that, and keep your own tranquility? That's a great question. Self-care, that's totally important, and I love to sleep. It's my favorite thing. A lot of people will ask, "Well, how in the world do you even sleep?" I'm like, "Oh, no-no-no, you don't understand. It's a priority." It's one of my favorite things to do. As a matter of fact, last night I went to bed quite early, for me, and then I slept probably 10 hours I was so exhausted from the past few days. It is a priority of mine. I would say that is number one of self-care basics, sleep, critical, especially because I just absolutely adore it. Also, hot baths, I'm a hot bath girl, every night. I love tea. I always have a nice cup of green tea first thing in the morning. I have a candle burning right next to me during this podcast. I always try and infuse little doses of tranquility into a very, busy, full life. Why do you think it's important for people who are trying to create social change to be tranquil, and do you have any tips for busy changemakers? It's critical to take care of yourself. There's that whole notion of refilling the well, and making sure that you're nice and full; otherwise, you cannot give what you need to give to others. That goes from parenting an animal, or a child, to taking care of aging parents, to taking care of your organization, or those who work for you. If you're not feeling full and feeling cared for and fed in many ways, it's going to be hard to give back, and really make the impact that you want to make. Sometimes it can feel maybe a little selfish to say, "No, I have to stay in to take care of myself," or "No, I think I am going to pass on that invitation. I really just need an extra few hours of sleep," or "I just to need to curl up with a good book in front of the fire." I think it's really critical to make sure that is an absolutely important focus for all of us in order to really make the change, and really be the person that we want to be. You talked a little bit about your new book, Tranquilista: Mastering the Art of Enlightened Work and Mindful Play, which is coming out 2010. What else will people find in your new book? Oh my gosh, there's so much. It's an interesting compilation of my journey. There are three chapters on entrepreneurship, and that's where there's a piece - I can't remember actually if the setting up your foundation piece is in the do-gooding chapters, or in one of the entrepreneurship chapters - but there's a lot on creating what it is that you want to bring to fruition in your own life, and what you want your legacy to be, so to speak. There's a lot of playfulness too, with regards to style, and taking care of yourself, and creativity. It's blending this aspect of work and play in a playful way, but also in a fairly deep way. That's why it's, "Enlightened Work and Mindful Play," because it's incorporating, wrapping up, and interweaving this notion of making a difference through your daily actions, and also infusing your life with style, and throwing really fun parties for good causes. I feel like the gamut is covered in this new book. I'm really, really excited to share it. You also try to infuse sustainability and green practices into your businesses. Isn't your studio "green," or one of them, and also your clothing line? Can you talk a little bit about the challenges, or talk about that process? Can you talk about why you chose to do that, and any advice you have for folks who want to add that aspect to their business? With the clothing line, I was sewing with rayon fabric initially, and then I came across organic bamboo at a fabric show, and I fell in love. I was like, "Oh, my gosh! I'm totally transitioning." At that time, this was '06, I really couldn't find anything sustainable other than hemp, or something that was just a little itchy, or just not the luxurious fabric that I was looking for. When I found organic bamboo I was in love, and I've been using sustainable materials, organic bamboo and organic cotton, since '06. With the studio, when we moved into a new studio in '08, we were building it out for about six to nine months. My contractor was really great about using reclaimed materials because his whole thing was, "Why go trash old stuff to buy new green stuff and fill up the landfills?" He was really, really creative with my request to build out as green as possible. For example, he would find things on Craigslist, like tree grates that go around trees in urban settings. We cut those up, and that was used to support the benches that were made from reclaimed wood from an old barn. We lined the sides of two walls with wood from an old farmhouse. We used the floor joists from the upper two floors, that we had to replace because they were deteriorating and wouldn't be strong enough for what we would need, for shelving. It was just really, really nice to be creative, and to not just trash stuff that could ultimately be a gem. What's next for you? What's 2010 look like for you? Are you going to add another enterprise? I don't know how that would be humanly possible! On the what's next horizon, honestly, I've just come off of one of the most challenging months of my life. There was just so much going on in October for me, and one really big exciting milestone was our 10-year birthday party for Tranquil Space. Initially, I had planned to take all of November off to think about what was going to be next for me, what was next on the horizon. Then, while I was in Costa Rica in May leading a retreat, I had been contemplating getting a Masters in Social Work for a while, I decided to sign up, and apply, and so I'm in graduate school right now. Instead of taking November off to play fully, I am taking 10 days to go to Paris, which I had planned on before I started graduate school. For 2010, I really haven't scheduled a lot. I'm leading a few retreats, but that's kind of the norm. I'm going to focus on school, and I'm going to focus on just savoring what is right now. There are no new business ventures on the horizon. I feel really good with the spin-offs that I've done. I love them all. I want to just continue giving them energy, and make sure that I in turn am taking good care of myself in the process. Do you have anything else you want folks to know about Tranquil Space Foundation, how they can get involved, any of your other enterprises, or tranquility in general? If there is any interest in getting involved in Tranquil Space Foundation, check out our website, tranquilspacefoundation.org. We'll be donating to three to four more great causes in Spring 2010, so if you know of any organizations that cater to women and girls in the field of yoga, creativity, and leadership, please don't hesitate to let me know. I'd love to recommend them. Also, with tranquility in general, be playful, have fun. Make sure you're taking care of yourself. Write in your journal, sip tea, do yoga. Really ask yourself on a regular basis, "How am I contributing to the well being of all?" There are small things that we can do such as just smiling to people we pass, giving compliments, giving kudos, sending snail mail. Oh, my God, the best thing in the world is receiving snail mail! Just these small things can really make a big difference. Just reflecting on your life, that's called svadhyaya in yoga - self study, and continuing to explore, open, and live as fully as possible. To me, that's tranquility. And then, lots and lots of sleep! You can learn more about Kimberly and her work at www.kimberlywilson.com. Kimberly, Jennifer Lee of Life Unfolds, Lisa Sonora Beam of Less Stress, More Joy: Adventures in Creative Entrepreneurship, and I are collaborating to create an event for creative women entrepreneurs to connect, create, and learn together so stay tuned to our blogs as the details unfold! When you're working to make the world a better place, there are going to be times when you'll feel challenged, discouraged, and even sometimes depressed. To balance out the tough times, you need to have a Laugh List to turn to on a regular basis. Below are some items from My Laugh List. What's on yours? Will you be spending Thanksgiving with friends who tell great stories, a relative who has wonderful tales from "back in the day," or just someone special whose life you'd like to celebrate? Why not record their story in honor of StoryCorps' National Day of Listening the day after Thanksgiving (November 27th). StoryCorps provides a free, downloadable Do-It-Yourself Instruction Guide, as well as an Education Toolkit to use in a classroom or library, and a Community Service Toolkit to use in, "veteran’s hospitals, senior centers, homeless shelters, and other community centers." We won't be spending Thanksgiving with family this year, but I could still record a family member's story with the Skype recording program for Macs I use for podcasting, ecamm Call Recorder for Skype. If you have a PC, I've heard great things about Pamela. If you'll be face-to-face with the person whose story you'd like to capture, you could record it with a Flip video camcorder, a regular camcorder, a cassette recorder, or a digital audio recorder (Olympus has relatively affordable small ones). If you have a computer with a built-in microphone, you can probably record directly into an audio program like Garageband (Mac), or Audacity (Mac or PC). Whose story would you like to capture? Whose life would you like to celebrate? 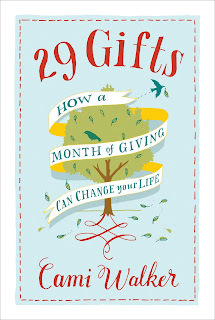 Long time readers of Have Fun Do Good probably already know about the 29 Day Giving Challenge created by my friend, Cami Walker. During the 29 Day Giving Challenge, you give away one thing each day for 29 days. It can be anything: time, money, something you already have, something you buy, a smile, a compliment, or a kind word. 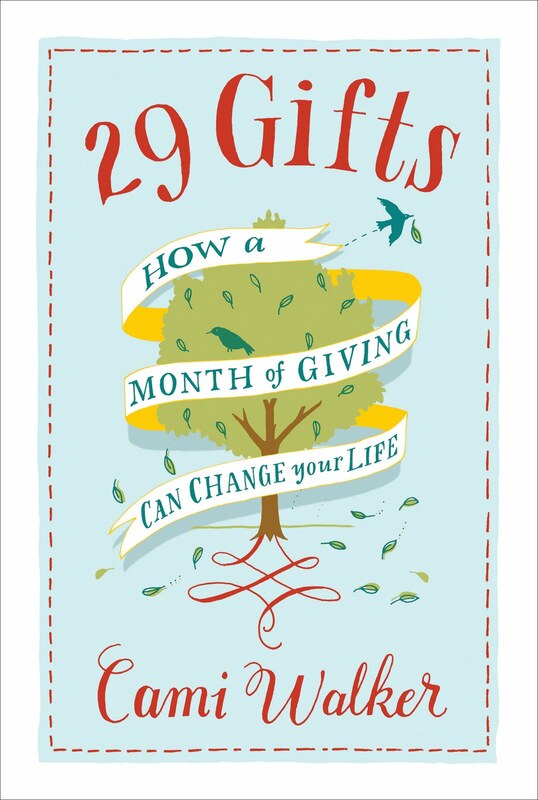 What you might not know is that since I first wrote about the Challenge in April 2008, Cami has published a New York Times bestselling book, 29 Gifts: How a Month of Giving Can Change Your Life, and has appeared on the TODAY Show! Pretty cool, huh? I've completed the Challenge four times, and found it to be a profound experience each time. I'm going to start my fifth cycle the day after Thanksgiving, "Black Friday," so that I will hopefully feel the spirit of giving (rather than buying) that the holiday season is supposed to be about. Interestingly, November 27-December 25th is 29 days! You can join the 29 Day Giving Challenge online community at www.29gifts.org, and download free 29 Gifts calendar and 29 Gifts Note Cards in their discussion forum. I've pasted the video from Cami's interview on the TODAY Show below.